honestly ah if can pirate those vita games, I would. Anyone knows the price of ps4 now? I did not preorder it. I wonder if I can get one off the shelf tomorrow. Where did you preorder it? Sony retail stores or some game shop? I pre ordered it last friday! From a game shop. as the TS, you think I dont have? 14 hours to finish the story, with some out of the way exploration to find stuff. I'm playing on normal as well. Think I should be around the halfway mark in the game. I'll probably try to get all the SP trophies if possible (a bit scared by the Grounded mode) but I think the MP trophies are out of reach if don't form online boosting parties. why pay for digital when you have physical? U should check Sony shop. I find their pricing is quite attractive as compared those game shop. I went to imm Sony shop recently where they have a special promotion on fifa 14 bundle ps4 for $659. It comes with a 2 years warranty as compare to 15 months by other. U can used credit card to pay too. 6 months installment avaliable. lol I'm the TS leh lol what you think? if you have so much spare cash, can you buy for me? 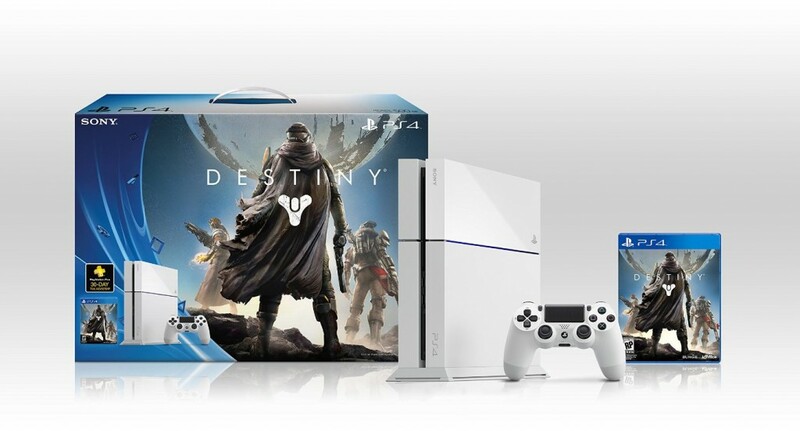 Destiny White PS4 Bundle for Singapore. September 9th. S$699. also includes 12-month SG PS Plus subscription, one-year PlayStation extended warranty and S$15 SG PS Store credit. need to pay to play online?? ?